La Gorce Island is one of the most prestigious neighborhoods in Miami Beach. This island is situated just south of Normandy Isle, and offers residents an array of architectural styles ranging from modern to historic. La Gorce Island offers buyers both waterfront and dry lot homes set in a lush landscape with palms and abundant foliage. This fantastic tropical paradise is a place that anyone would love to call. Check out the top 3 homes currently for sale on La Gorce Island under $11 million, and make your moving dreams a reality. This fabulous La Gorce Island Miami Beach waterfront home located at 58 La Gorce Circle, Miami Beach, FL 33141 offers buyers stunning views of Biscayne Bay and so much more. The luxurious interior of this La Gorce home is complete with decorative wrought iron stair banister finishing’s, as well as marble floors throughout. This spacious waterfront home features 6 bedrooms, 7 baths, a gym, a dine-in kitchen area, a formal living room, a formal dining room, and a chef’s kitchen. The master suite is a dream come true with its enormous his and her closets, sitting room, grand bath, and a wraparound terrace. This La Gorce Miami Beach waterfront home is an elegant sanctuary offering residents blissful living within private surroundings. Listed at $10,500,000 this home is perfect for a family who loves to enjoy life and entertain, as the backyard features a pool, spa, deck, barbecue, and a covered outdoor living room. This superb La Gorce Island Miami Beach home located at 6655 Pine Tree Lane, Miami Beach, FL 33141 offers buyers a secluded estate surrounded by a lush garden and tropical foliage. This completely renovated colonial-style home sits on a 17,000 square foot dry lot. This beautiful 2-story home boasts 7 bedrooms and 7 baths set in 5,408 square foot of living space. This La Gorce home showcases a gourmet kitchen with top-of-the-line appliances and finishes, a fireplace, a pool, restored wood floors, and French doors. The expansive master suite has 4 walk-in closets, make it any woman’s dream bedroom. Listed at $5,100,000 this Miami Beach home is great contemporary classic that offers buyers natural light and beautiful views of the pool and lush garden. This phenomenal Italian villa located at 6711 Windsor Lane, Miami Beach, FL 33141 offers buyers an elegant mix of classic architecture and modern touches. Inside, buyers will find a stunning master suite with many luxurious built-ins, an elegant winding staircase, and woven-wall coverings. The lovely dry lot home has hardwood, stone, and marble floors throughout. The exterior features include a brick governor’s driveway, mature ivy, wood shutters, a covered coral keystone entertainment patio, and decorative pool tiling. Listed at $4,995,000 this great home offers buyers a tranquil lifestyle in a private beach oasis. 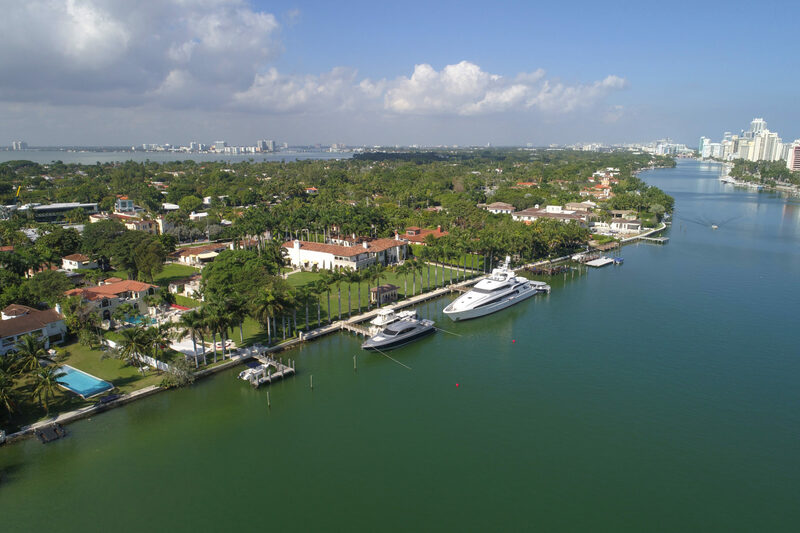 If you are interested in touring any of these marvelous La Gorce Island Miami Beach homes, contact us at pobiakproperties.com, and we will be glad to show you these homes, as well as others that may better suite your needs. At Pobiak Properties, we take pride in offering all clients excellent service, for outstanding home-buying outcomes. This entry was posted in Luxury Homes, Miami Beach Lifestyle, Miami Beach Luxury Real Estate, Miami Beach Neighborhoods, Miami Beach Waterfront Homes, Miami Beach Waterfront Homes and tagged La Gorce, La Gorce Island, La Gorce Miami Beach, Miami Beach Luxury Real Estate, Miami Beach real estate, Pobiak Properties on February 8, 2017 by Giancarlo Bobbio.